Need a quick and healthy breakfast on the go? Give these a try. 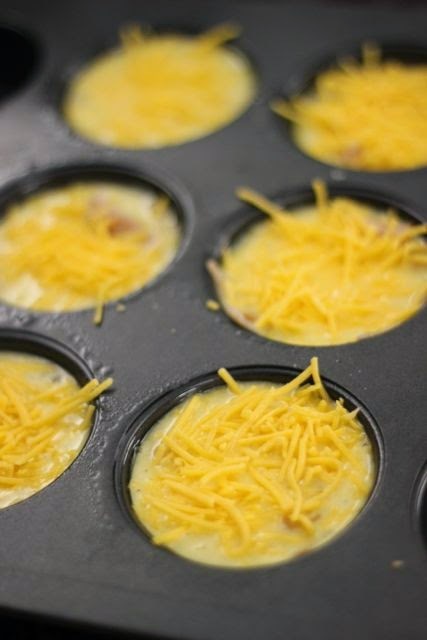 You can make them in the evening and they are ready to grab on your way out the door in the morning. I used ham and cheese, but you could also add vegetables or any other meat. Experiment with flavors you like. 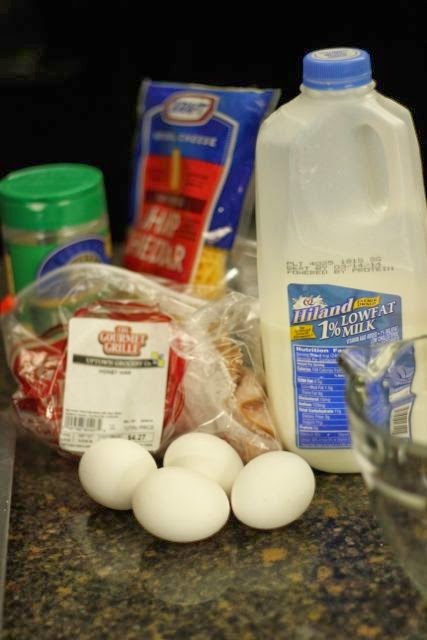 Blend all ingredients in a bowl. 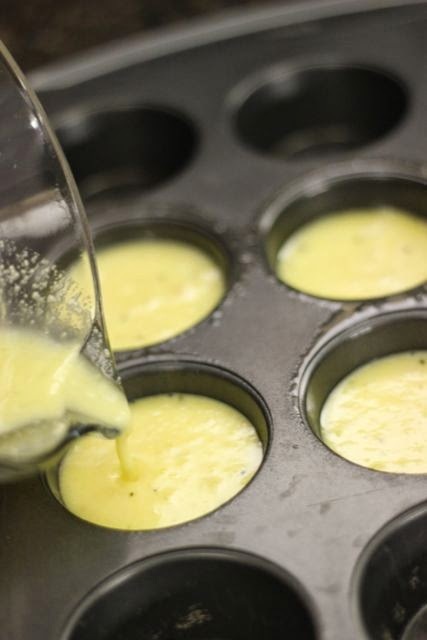 Spray a muffin pan with non-stick spray. Fill each well about 3/4 full. Bake at 350 degrees for 20 to 25 minutes. 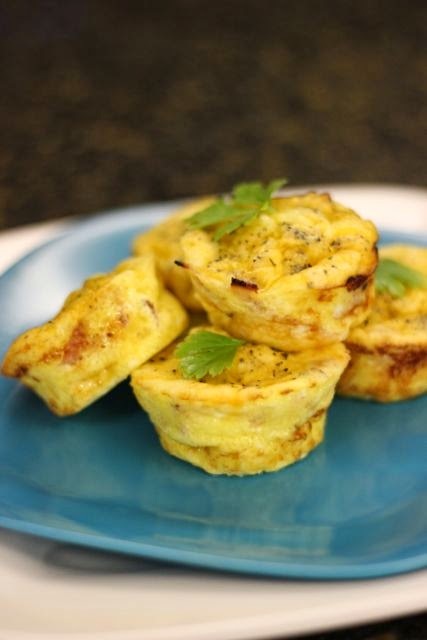 Run a knife around each mini frittata and gently lift out of pan.